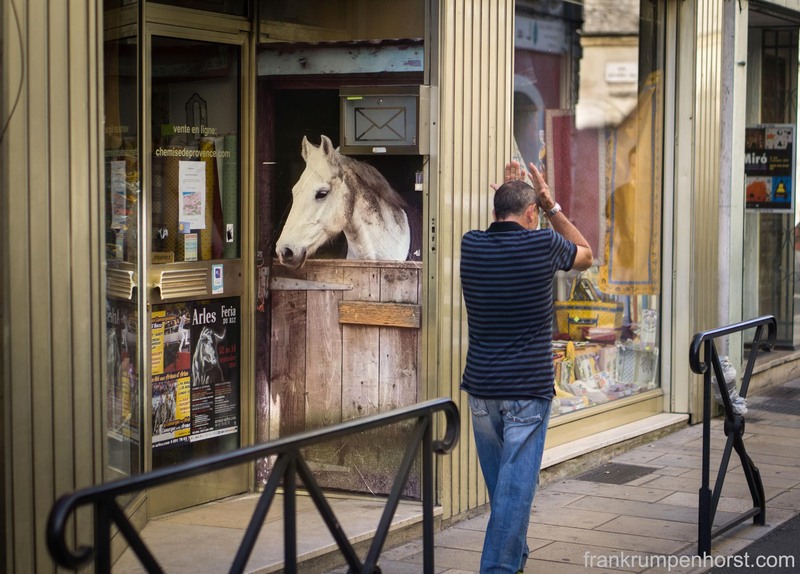 A picture showing a horse looking out of its stable is glued to the wall of a small shop in Arles, southern France, while a man walks by who is rearranging his hair, July 15. This entry was posted in Fotografie, Photo Journalism and tagged Arles, France, funny, horse, photographie, Provence, Recontres d'Arles, strange. Bookmark the permalink.